Close to the town seaside center, Riccione thermal bath, 50 mt from silky golden sandy beach and the long cycling lane starting from Rimini harbour all the way to Cattolica. In Riccione we have safe swimming because of the shallow water and is also nicely warm, so it is possible to have a bath from May to October. There is a sandy seabed which makes the water look “green” and very clean. 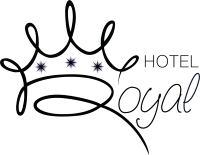 Royal Boutique Hotel is ideally placed for a walking distance holiday in a evening pedestrian area. You can pampered yourself in our FREE OUTDOOR SPA with sunbeds, emotional showers, 50 m2outdoor heated swimming pool equipped with water massage jets, geyser, whirpool chaise-longue, cervical water blade. You will appreciate a relaxing soak in the 2 seaview Jacuzzis: one on the first floor Chill-out Balcony and the other on the second floor Green Solarium. It’s a family-run hotel; my dad Paolo Baldoni is the chef , every morning, he personally chooses meat, fish, fresh products at Km zero, even for vegetarians and coeliacs.  The hotel has been recently refurbished and redecorate, all rooms are ensuite, with indipendent Air-Con / heating, free WIFI, advanced technology led-Tv with international satelite channels, USB access, safe box, complementary toiletteries, Kettle with cups, tea and herbaltea set, minibar and professional hairdrayer. In Riccione you can go shopping in the small local shops in Riccione paese, on friday there is a lively street market, or if you prefer luxury brands, you can find a variety of brands in Viale Ceccarini.